Ample parking available, immediately in front of the restaurant. Bring the Brix 25 Restaurant experience to your event. We have extensive catering experience from casual cocktail parties, business lunches to multi course and black tie affairs. Meet, Eat & Celebrate at Brix 25 Restaurant! Create your own unforgettable experience with our cuisine, exceptional service and award winning wines as the starting point. We have a variety of options for private dining, including a private dining room which accommodates up to 28 guests, semi private options of up to 30 guests or the entire restaurant with capacity for up to 80 guests seated or 120 for cocktails. Think of us when planning your meetings, celebrations and gatherings of all kinds. 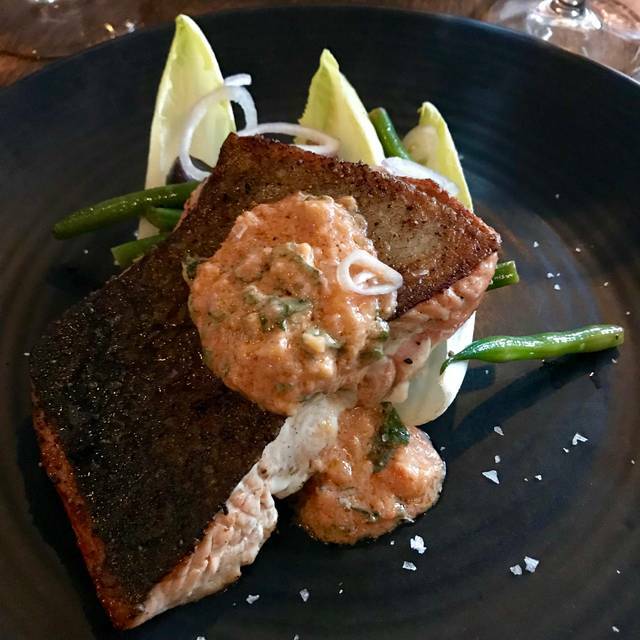 Since its opening, Brix 25 Restaurant has been hailed as one of the best restaurants in the Northwest. The intimate, warm and welcoming interior of Brix sets the stage for romantic evenings, family gatherings and business dinners. 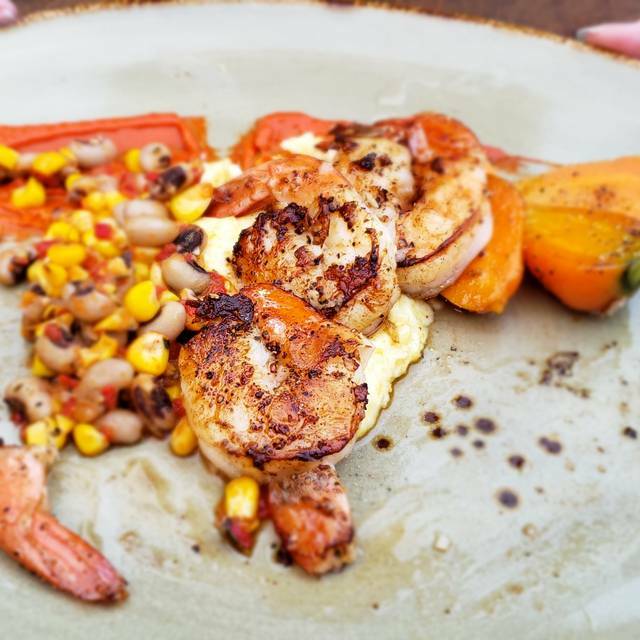 Chef/Owner Thad Lyman crafts a menu of hearty and flavorful American cuisine with a Northwest influenced style. 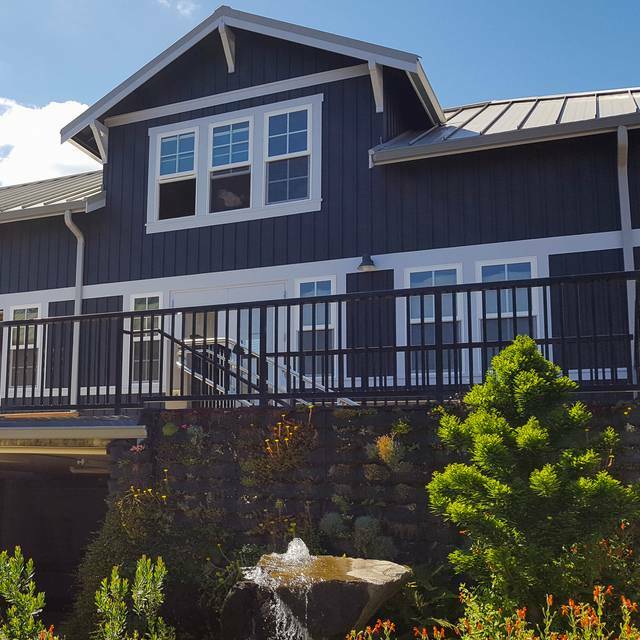 The restaurant is located in charming Gig Harbor, in the historic downtown district. Brix 25 Restaurant is recognized locally and nationally for an award winning wine list; holding the Award of Excellence from the Wine Spectator for the past 4 years and the Grand Award & Washington Wine Restaurant of the Year from Washington Wine Commission. Excellent cuisine. All flavors were on point and coincided really well. Greeted by a very friendly host which always a great way to start your experience in a establishment such as yours. Overall it was an extremely enjoyable experience and most definitely recommend your establishment to anyone dining in the Gig Harbor area. Brix 25 is just the place for a great early dinner in Gig Harbor. Everything was almost perfect. The Metal padded chairs were a bit of an annoyance but nothing more. This will be our spot in the Harbor! Good food, great wines and a friendly staff. What more could you want. Have you ever been to a restaurant that has too much customer service? This is how we felt. Service was constant, so much so that we could not have a conversation without being interrupted. At one point the waitress even came over to replace silverware we had not even used. And as lovely as the place is, the noise level is super loud. We were very disappointed in BRIX 25. While my halibut was cooked perfectly both of us felt that the lack of other vegetables greatly diminished the quality of our dinners. 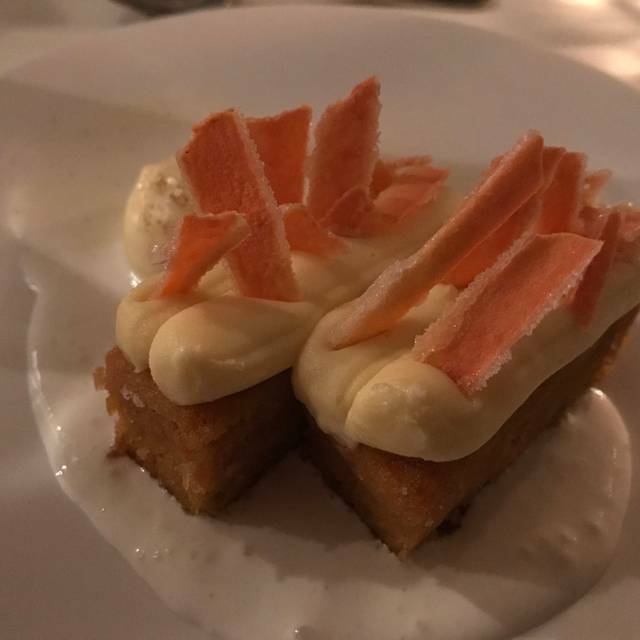 We had the carrot cake for desert- in our view it fell flat, very dense, tasteless. To make our experience even worse, it was so noisy that we could barely hear each other. Call us VERY disappointed. We went for our anniversary and it was our first time here. It did not disappoint. I always worry that when I'm going to a more expensive restaurant that the food is just going to be so-so. Well that was definitely not the case here. Everything we ate was amazing. 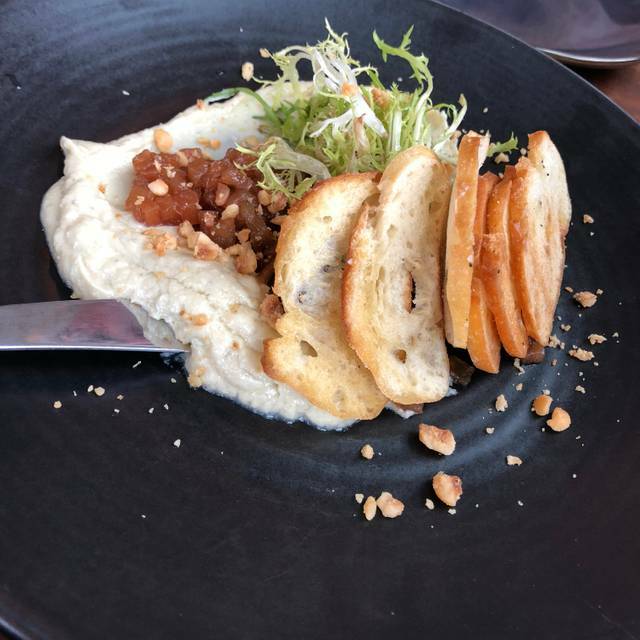 We shared the Honey-Pear Chutney and Cambozola Cheese Spread for an appetizer, along with the house made bread and butter...all of which was perfect for a start. I had the Boeuf Bourguignon and my husband had the Halibut. We both had clean plates and they were perfect sized portions, besides being delicious. We then shared the Affagato Al Caffe for dessert, which had so much depth and flavor for a fairly simple sounding combination. Service was fast and we won't hesitate to return in the future! It especially disappointing when you really pull for a restaurant to do well and it falls short of your expectations. We’ve dined at Brix 25 for years and have appreciated the consistency, service, cuisine and staff. They moved to a new location a year ago and while I wanted the new space to be great it lacks warmth and refinement. I thought it would grow on me but after a number of visits I just don’t care for it. I tried a new cocktail, The Year of the Monkey. It is an old fashioned made with Monkey Shoulder. It was not very flavorful at all and I am familiar with all of the items that go into it and enjoy them typically, especially Monkey Shoulder. The classic wedge salad and charred romaine caesar are no longer on the menu. We loved those in the past. 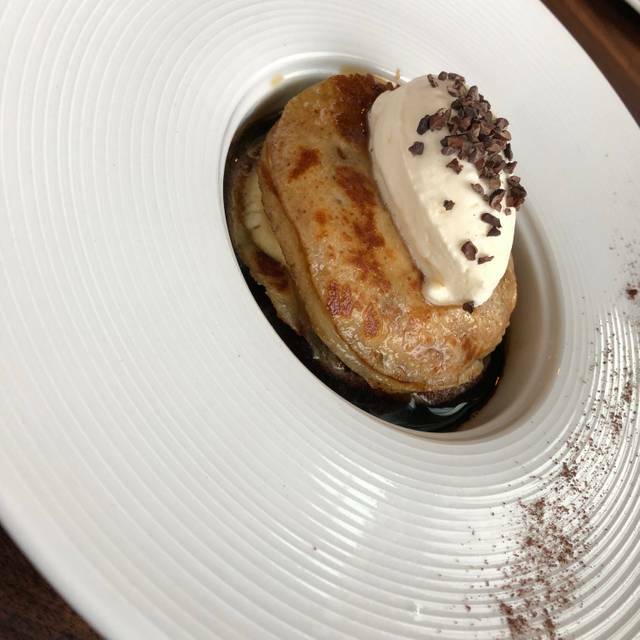 I really like foie gras, but with the new offering the foie gras flavor is overpowered by the pancake and maple syrup accompaniments. The past go to stand by sure thing, Beef Bourguignon has changed as well and not for the better. It is more charred and fatty. It is much less tender not as savory as it’s predecessor. I wouldn’t order it again, which is a shame because it used to be such a consistent comfort food that you could rely on. The Tira Misu on the other hand is still the same and is my favorite dessert of any in the area. It is really very good particularly when paired with a tawny port. Gone are white linen tablecloths and a warm and inviting dining experience. Hard surfaces with light colors (a fair amount of noise reducing panels) make it feel more like a louder, cooler (temperature) bistro than what used to be a local old friend. I really wanted to like the changes, but in the end I’m not a fan. If it’s not broken, don’t fix it. The staff and owners are as friendly and professional as ever. The new location with a different ambiance and some subtle menu changes take away from what used to be my favorite. I’ll be back for dessert, tira misu and a tawny port. 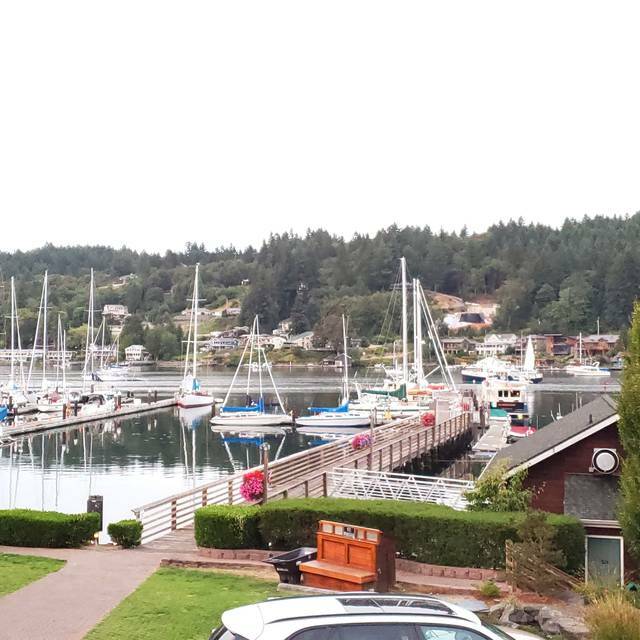 Nice setting with views of the bay in downtown Gig Harbor. Our food was good, but not outstanding. The octopus was over cooked and so,disappointing. Wine selection was good - order a bottle, the by-the-glass pour were short. They accommodated my food allergies cheerfully, which is always appreciated! Food is good but portions are really small. Service is very good. It’s loud due to acoustics. Same great food! My dinner guest noted and I agreed that the new location was much noisier than the previous locale, to the point of distraction and made our conversation difficult. While our waitress was awesome, the support wait staff were a bit off their game. That said, I do expect that to be corrected and we will be back soon. Amazing location, great service and the food was amazing. Chairs not amazingly comfortable to sit in for a long time, but a few glasses of wine and you wont notice! The service was wonderful, and so was the food! The new location is really beautiful and located right by the water. I would definitely recommend Brix 25! Haven't been in a while, unusual for us. Great new cocktails. The sturgeon was awesome and the bourg always good! We love this place - one of our go-to date night spots. Food and service are great and the complimentary sparkling wine is a nice touch. The service was very good but the food was mediocre at best. I would go back and sit in the bar and have a drink as it is quaint but as far as the food - nothing to write home about. Other better places to eat in my opinion. First of all, the service is amazing at Brix 25. Jacey was our server, and she was so knowledgeable, and remembered us from past visits. Every time we go there the menu is different, and it never disappoints. I have wine, and it was incredible. The meal was outstanding. Brix restaurant at the previous location was once our favorite restaurant in Gig Harbor and then slowly their food and service changed and we stopped going. So it was with some apprehension that we tried their new location in Gig Harbor. We were pleasantly surprised and will definitely return. The atmosphere is not as quiet and romantic as the previous location in that the new building design is more open and brighter. But the view is spectacular. We had a early dinner appointment so it was not loud and noisey as it might be when it is full of clients. The menu is new and exciting and very uniquely prepared. To our surprise, Thursday night has select bottles of wine priced at 50% off. We have gone several times at other location and at this Location. I was there celebrating a milestone Birthday for my sister which was visiting from LA. 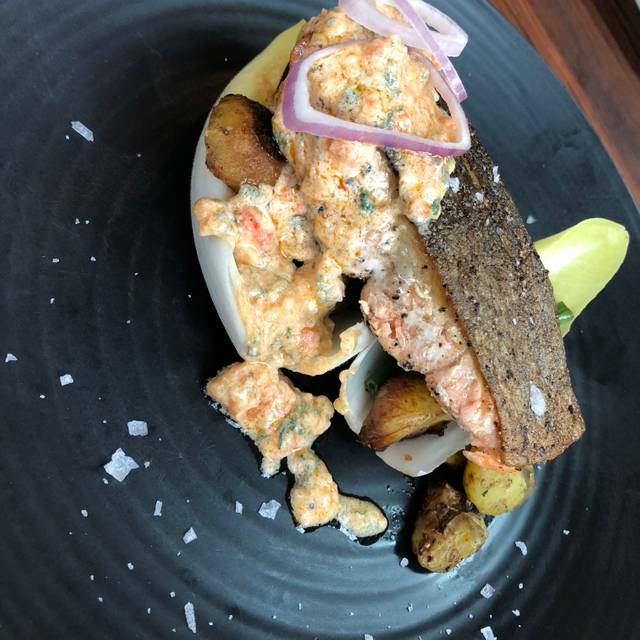 Service was great, food Trout and Brazinio fish was quite salty. The noise level was off the charts, truly we had to leave after finishing our meals, it’s a shame because we wanted to stay longer but the noise level was unbearable . Had a lovely evening. Great food. Extraordinary wine. Josh was a wonderful server. Good service. Great location on the waterfront. Best sturgeon I have ever had. Food was great...only slight complaint was that one of the two appetizers kind of missed the mark as it was not warm by the time it reached the table, but tasty, nonetheless. The service was personable and friendly. I saw other reviewers note that the service was unfriendly and cold, but that was definitely not our experience. I felt the meal was a great value, as I’ve paid double the price elsewhere for lower quality food. I will definitely go back. Staff wasn’t overly nice. No good bye on our way out . The feeling was a bit stuffy. I would of liked a little laughter and lighten up staff! It wasn’t the experience of dining I was hoping for. My husband and I talked about it and felt the same way...so-so. It could of been so much better with a little effort of fun. Excellent service, great food, wonderful location. Our favorite restaurant for a nice evening out. Make sure to get the bread and butter. Their special whipped butter is amazing. The food was excellent, especially the soup, a potato base topped with a scallop. The dining experience was truly special, love the understated decor. The complimentary champagne an added surprise. The pleasant and efficient wait staff just added to the overall delightful dining experience. We enjoyed excellent food and outstanding service! Local prawn special was probably the best I have ever had! Great salads and wonderful entrees, nice view and great service, this restaurant is hard to beat for a romantic dinner. 2 thumbs up! Food quality and service excellent. Wine service excellent. Ambiance excellent. Food portions were scant. The appetizer was shockingly small, the entree was very inadequate and the overpriced dessert was about 4 bites. It all tastes good, but be prepared for a high bill and still be hungry. This was our first visit since the move to the new location. 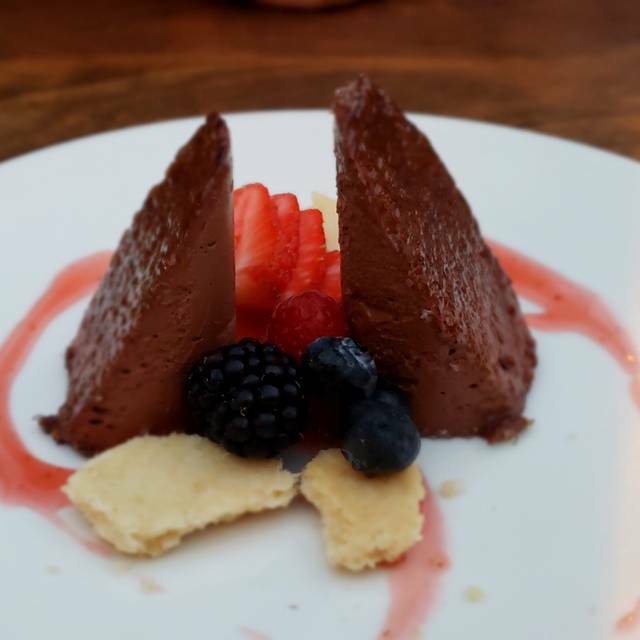 While we could not fully appreciate the waterfront location because of the darkness, It was obvious the the staff has not missed a beat in the creativeness and quality of the food and the attentiveness of the wait staff. Can't wait to return! We’re there for Valentine’s Day so expected it to be a bit different. It took us 2.25 hours for dinner...seemed like a long time. Service was good. Food was good, not great. Not a Good experience for me, much much too loud. The service was very good, however my food was bad and I didn't eat but one piece of the Beef Bourgenuion. The searing tasted like burnt and the inside texture was like mush. The sauce tasted like a barbecue sauce. I was expecting vegetables, but expected more than a medium sized (strawberry) carrot cut in half along with 2 shallots, at least I thought they were shallots. My son had the lamb and said it was good, but not enough. From the menu I wasn't aware that I needed to order ala carte in order to have a complete meal. To your credit my meal was removed from the check along with a round of drinks. Thank you for giving this opportunity to express my unfavorable experience and the resaons for my unkind answers to the survey questions. I'm older, Brix 25 is probably considered quite hip and I'm not too hip anymore. Nice people and good location but I didn't think the seating was too inviting. Wife tells me it's what's in now. Fancy drink menu of drinks you'll never drink again, so that's kind of fun but of course I'm a go with the classics guy. The arugula salad was great, my wife liked her beef dish but it looked somewhat small to me. I ordered fish, good but rather boney. Younger crowd, people on dates. I'll admit it, I like a little more cushy seat, drinks a little less expensive and a tad more food. However, if I was going out on a date I might suggest Brix25. I think women like this atmosphere more than men. I said yes on my recommend because I think Brix25 deserves to be appreciated, they work hard, but it depends on what you're looking for if you choose Brix25. First of all, the people are so nice and the service was amazing. They greet your table with a pour of sparkling wine to start, which is a nice touch. The appetizers were good and they had a beet soup that I wish I could replicate. My son and husband were pleased with their entrees but mine had sat under the warming light a little too long, which impacted its flavor. The staff tried to convince me to replace it and when I didn’t, they comped the desserts. They really did try to make it right. The atmosphere is average and the chairs are terribly uncomfortable. Lots of hard surfaces make it a bit noisy. If you go, go during the light hours so you can see the water. If not, it’s a fairly dark hole out the windows. All in all, I’d recommend it. Good folks doing good things!